Getting the straight smile you want has never been easier! A simple and effective way to have a beautiful, healthy smile. It’s no secret: A great smile always makes people happy. Not only do your teeth look better, but you feel more confident about your appearance. Straight, aligned teeth also promote excellent oral health because it’s easier to clean between them and prevent any wear and tear. Invisalign® makes it easy to have a beautiful and healthy smile! Invisalign® uses position-aligning trays to gently move teeth into the correct position. A digital 3D image of your teeth (no goopy impressions are necessary) is used to create a series of custom aligners that fit comfortably and precisely. However, one of the best features of Invisalign® is it’s nearly invisible. No need to disrupt your life while you are getting the beautiful smile you’ve always wanted! Why Our Patients Love Invisalign®! Here are just a few of the reasons for choosing this innovative and discreet treatment. With Invisalign®, there’s no need to stop eating the foods you love. Go ahead, indulge yourself! Invisalign can treat many orthodontic conditions, including overbite, underbite, crossbite, open bite, crowding, and gaps between teeth. The aligner trays can be removed, making it easier to eat, brush and floss your teeth, and take work or school photos without feeling embarrassed. Straight teeth are easier to clean out bacteria and plaque, and gums can fit more securely around the teeth. Invisalign®’s clear aligners will not draw attention to your orthodontic treatment. No metal brackets or wires! Treatment with Invisalign® is often faster than with traditional braces, and there is less need for repeated office visits. Though the Invisalign® process is simple, the planning involved to get optimal results takes time and attention to detail – something we at Smile Connections love to do! Dr. Volker is a Certified Invisalign® Provider with many years of experience in creating beautiful cosmetic results. 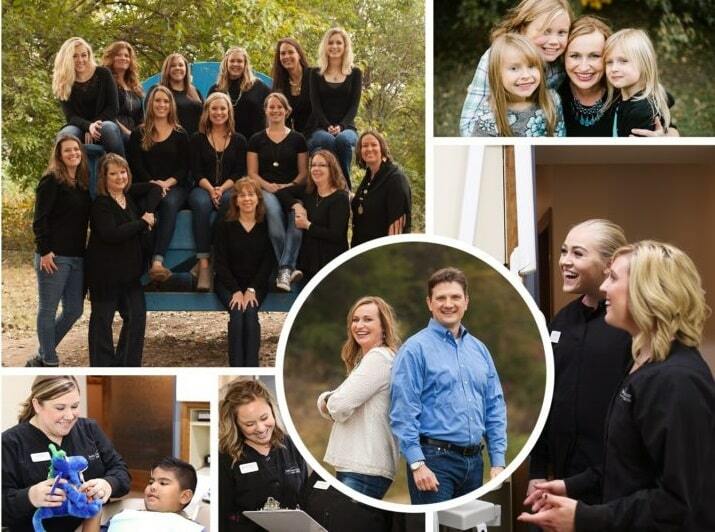 He is backed up by a fabulous team of hard-working, caring professionals who bring their A-game every day. Have Some Questions About Invisalign®? 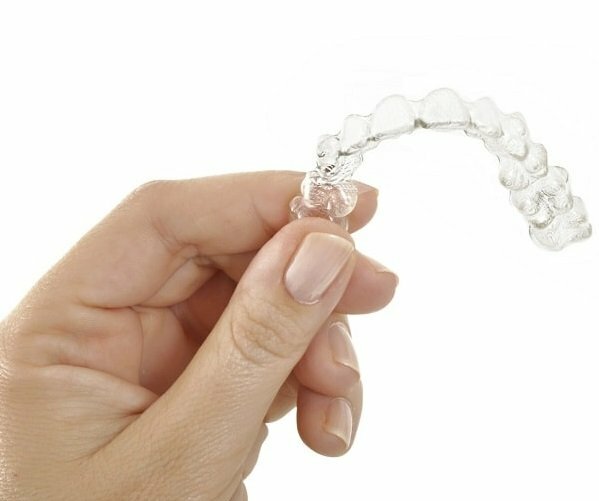 The first step is a consultation with our Invisalign® expert, Dr. Volker. He will make a treatment plan customized to the unique needs of your smile. Next, digital impressions are made of your teeth to create your customized aligners. You will need to wear your aligner trays for 20 to 22 hours a day for them to be the most effective. Every week or two you will change to the next aligner as your treatment progresses. The aligners will gradually shift your teeth into the desired position with gentle pressure until the beautiful smile you’ve envisioned is achieved. How long does treatment with Invisalign® take? Treatment times can vary from patient to patient. Before your treatment starts, our Wichita dentist will be able to give you an idea of how long your treatment will take based on how complicated your case is. Generally, Invisalign® treatment is anywhere from 12 to 18 months, though you can start seeing results in just a matter of weeks! Will I need to wear a retainer after my treatment is finished? Yes, you will. Retainers protect your investment. If you want to keep your gorgeous smile, you must wear your retainer every day, especially for the first year after you complete treatment. For the first year, it’s recommended you wear your retainer for at least 12 hours a day. After that first year, you can wear it for about eight hours every night. Also, remember to bring your retainer to your dental appointments so our doctor can be sure there is no orthodontic relapse happening. Adjustments to your retainer may be needed to keep teeth in their optimal position. Read more about the importance of wearing a retainer in our blog post. Should I have my teeth straightened before I get restorative dentistry work done? We often use orthodontic treatment first on teeth to better be able to restore them. Having teeth in the ideal location allows our dentists to be more conservative when they repair them. Additionally, if teeth are aligned properly, they have less wear and tear on each other. This can be important for someone who has a large number of restorations. By aligning your bite, you can keep the investment you’ve made in your dental work safe! Let's get started with Invisalign in Wichita, KS!